Bio: Over the past 10 years, Rob has explored a variety of roles and contexts in the field. These include the cram-school culture of Taiwan and Korea; IEPs in Boston focused on academic English; advanced conversation and TOEFL prep taught via Skype to students in Japan; and nonprofit, community English programs for immigrants to Greater Boston. He currently serves as sr. director of adult programs at Quincy Asian Resources, a member of the community advisory council at First Literacy, and a curriculum consultant at Boston Global Institute. 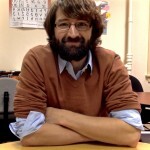 He has a master’s degree in TESOL from The New School, and his areas of interest include adult ed, pronunciation and grammar instruction, curriculum development, and assessment.